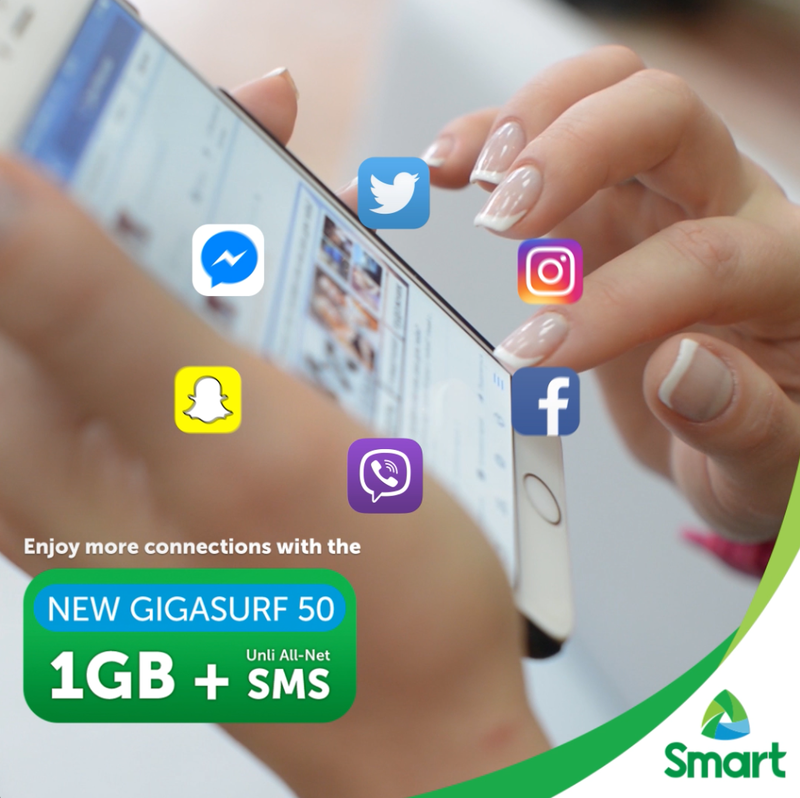 Share more moments with #SmartGigaSurf 50! Enjoy 1 GB of data for your social apps, plus 300 MB for iFlix, YouTube and more! Now even bigger with Unli-texts to all networks! Only P50 valid for 3 days! Text GIGA50 to 9999 now.